One of the biggest appeals of Amazon’s subscription program (Prime) is the many free (and often expedited) shipping options it offers; and it’s setting consumer expectations around the Web. In fact, according to Temando’s State of Shipping in Commerce 2016 report, shipping costs are the top reasons shopping carts are abandoned including (in order) shipping was too high, free shipping wasn’t offered, the shipping costs were communicated too late in the process and they did not qualify for free shipping. Luckily, there are a variety of options to offer free shipping without hurting a company’s bottom line. One popular approach is setting a minimum order amount to qualify for free shipping, which even Amazon requires for non-Prime members – recently raising its $35 minimum order to $49. While it will be important to look at a company’s unique benchmarks, Monetate’s most recent E-Commerce Quarterly for Q4 2015 indicates that the average order value (AOV) in all 50 U.S. states is over $100. An online retail company could look at its AOV and decide what percentage or dollar amount (perhaps $10) above that would make a compelling case for free shipping. There are some companies, like Nordstrom, Zappos, Apple and others that offer free shipping all the time but with Amazon requiring a qualifying amount for free shipping, smaller companies shouldn’t be scared to do the same. It’s worth a try, right? Another popular strategy for offering free shipping, without cutting into revenue, is to offer it based on something in return, like a loyalty card sign-up, a yearly flat fee, etc. These programs not only meet consumers’ fulfillment expectations, but they also encourage shoppers to spend more. Data from Amazon shows that Prime members, in fact, spend an average of $1,100 per year compared to non-members’ average of $600 per year. Retailers may also want to consider offering exclusive free shipping offers to their social media followers, which may encourage a shopper to stay in touch more on the various networks – providing brands with more opportunities to market to them. 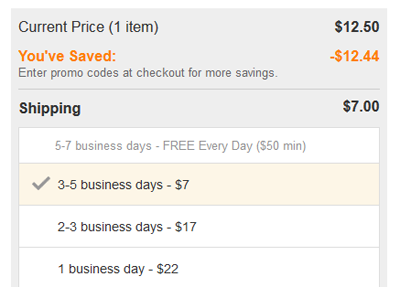 Another idea is to offer free shipping for first-time email subscribers. Old Navy – Free shipping every day with $50 minimum purchase. Toys R Us – Free economy shipping (customers will likely be willing to wait longer if it’s free) or free in-store pickup. Want to be like Amazon (or better)? 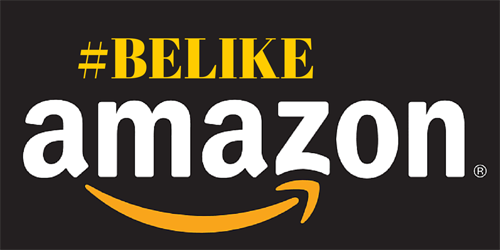 Don't miss any of this #BeLikeAmazon series or other e-commerce news coverage. Sign up for Website Magazine's e-commerce express newsletter now!